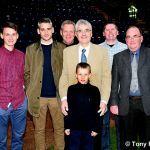 Events of the last few days have prompted a mix of emotions for fitba fans from the Hillsborough findings to Leicester City winning of the Premier League. 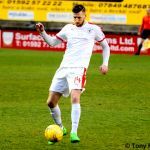 The focus however for the on form Rovers remained the first playoff game as they geared up for the visit of a more fancied Hibernian side. The home line up saw a change with Benedictus returning in defence and Davidson moving to a midfield, Longridge going onto the bench. 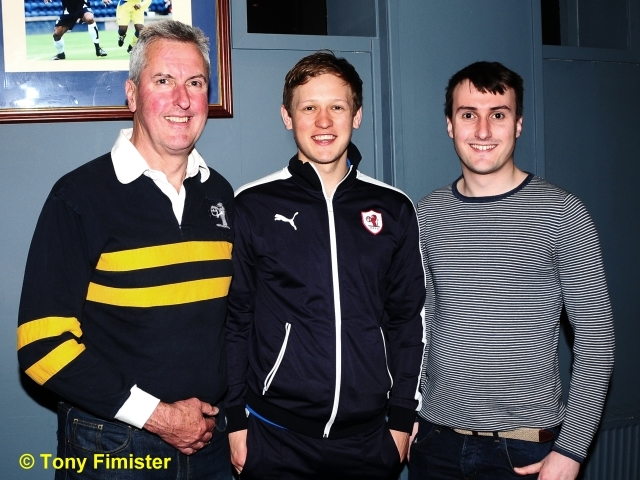 A decent crowd waited eagerly for kick off with a few rarer visitors making long trips to Starks for the match. One well kent face up from Surrey – up on a work trip – was picking up Rovers goodies for his baby daughter. There was a good support from across the water and conditions were good thought the pitch, in places, looked a little bare which is no surprise at this stage of the season. 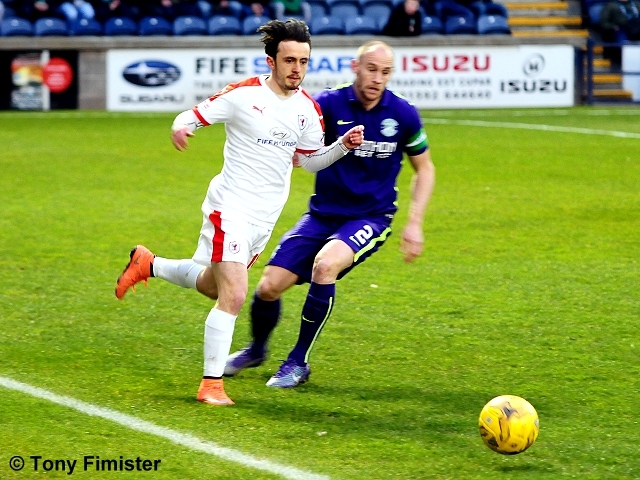 The Rovers started brightly and Craigen crossed early failing to find Hardie. 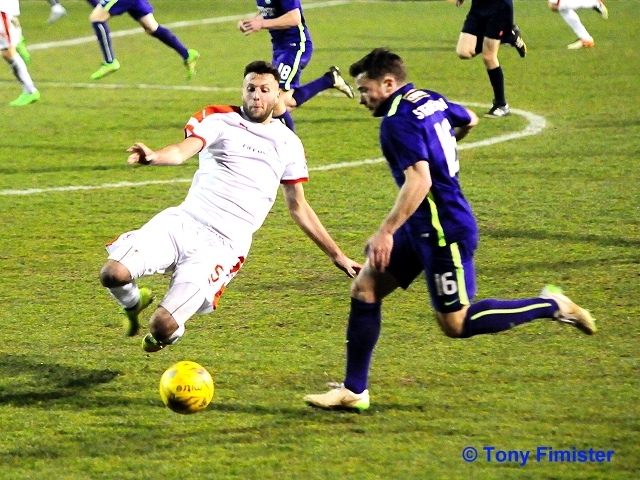 In the fifth minute Connolly tried to capitalise on a slip from a visitor but saw his low cross cleared. The men in white were getting a lot of the ball early on and trying to look for opportunities to find lone front man Hardie without much success. 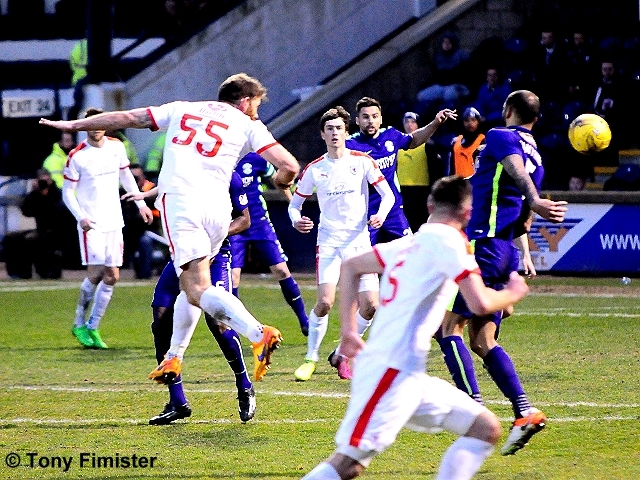 Cummings shot low with the Edinburgh sides first chance and Cuthbert put it around the post – Thomson and Gray both went down after a clash of heads from the resulting corner. Hibs local lad Stevenson cut into the box, the ball broke back to him so he fed a colleague who’s low 18 yard effort was at Cuthbert. 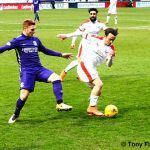 Still the Rovers had more of the ball and Callachan – who worked hard throughout – combined with Thomson only to see the cross leathered into Pratt Street by a purple clad defender. 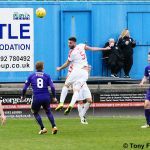 Stevenson had go from the edge of the box, his cross or shot was wayward not that the home fans were unhappy to see the ball fizz across goal and out before a McKeown cross was headed down invitingly by Callachan to Craigen who’s viciously struck volley was too high. 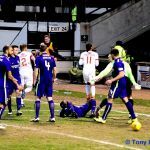 Stokes pressured Cuthbert as he claimed a cross then the Celtic loanee took a heavy touch twenty yards out and unable to get to the ball went down only to be waved back to his feet by the forgiving referee. 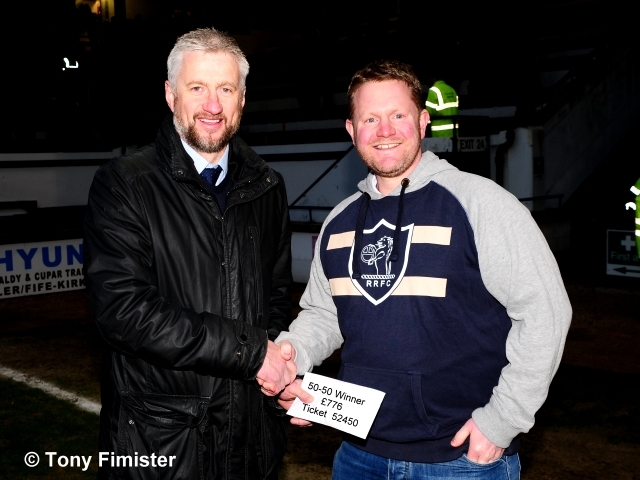 The Rovers still weren’t been able to capitalise on their possession in the final third. 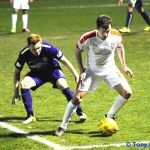 The visitors seemed to tweak their formation pushing Stevenson forward wide left which meant Callachan had less opportunity to get forward. 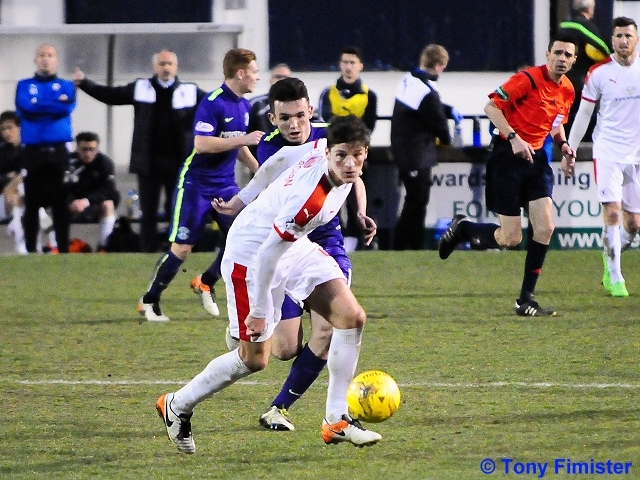 The game was less open as a result and possession more even as the visitors tried to secure a vital away goal. 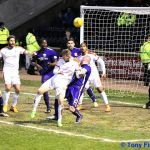 Fyvie felt it necessary to take off his purple undershirt which was eventually throw towards the bench. 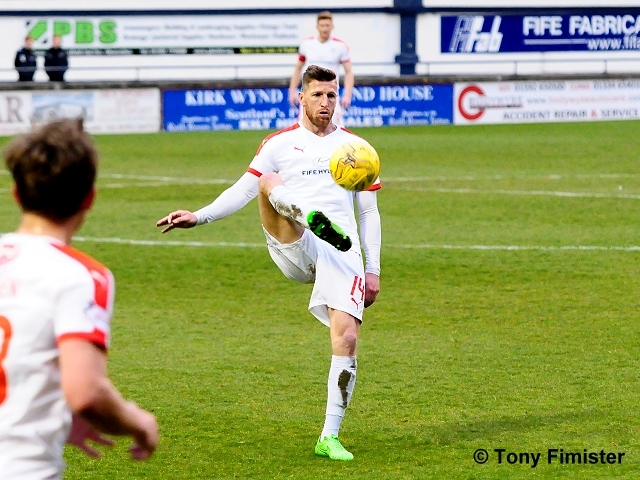 The ex Don put an inviting cross in which Stokes headed goal ward but it didn’t cause Cuthbert any problems. After a slack pass in midfield the home keeper had to be quicker diving low to collect Cummings driven cross. 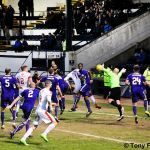 On the half hour Connolly lined up a free kick but his ball in was too close to the difficult to miss Hibs keeper Logan. 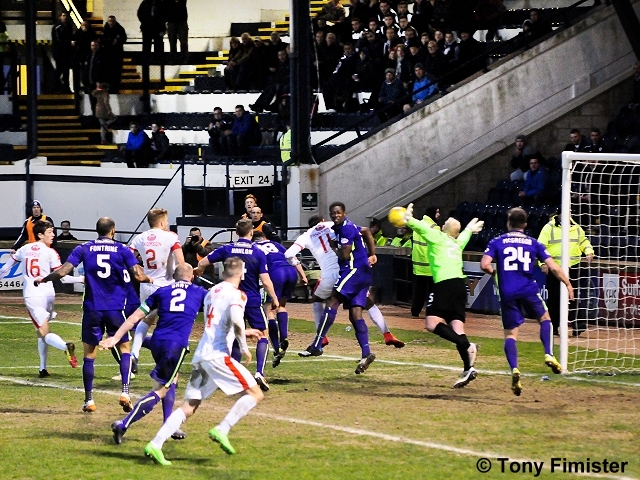 A more precise delivery from the visitors fell to Cummings who’s shot was blocked and Bartley’s follow up ended up in the Raith support. 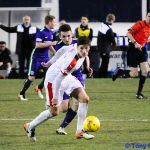 Nearing the fortieth minute two Raith men paused at midfield and McGinn nipped in then played a great ball forward for Cummings to run onto. As the flag stayed down he moved in with only the advancing Cuthbert to beat. 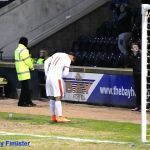 Deftly he lobbed the ball over the Raith custodian, calmly putting the ball over the bar which the home fans enjoyed rather more than the away ones. 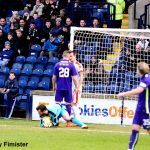 Perhaps spurred on by that let off the Rovers tried to create a chance of their own as the half wound down, Barr was bundled as he tried to win a header and the ball ended up with Callachan who failed to threaten. 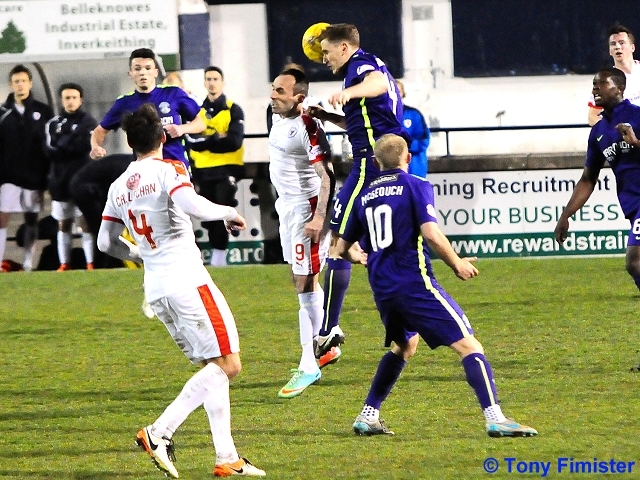 Then Connolly headed into the box hitting a teammate who blocked it inadvertently helping out the Hibs defence. 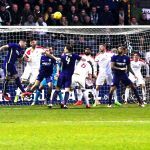 The last chance of the half fell to Stokes who despite being closed down managed a low shot at Cuthbert from the edge of the box. 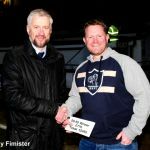 As the fans discussed the first half of the first half of the playoff’s the fan from Surrey appeared more than a little flummoxed to be presented with the half time draw cash by Ex-Rover Iain Ferguson. 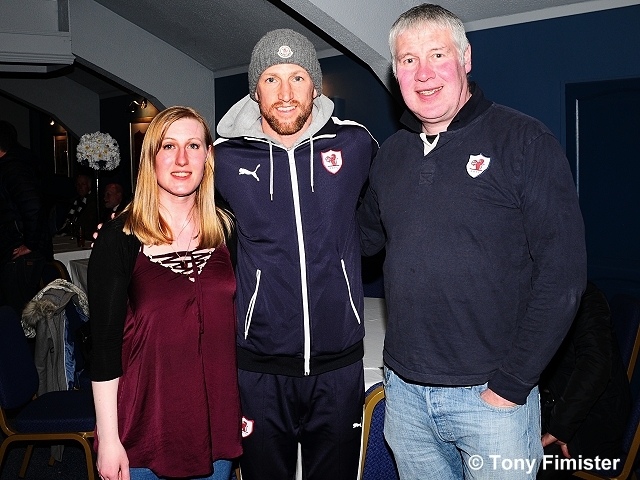 His daughter may be getting a few more Rovers goodies as a result! The Rovers started the first half winning a cheap corner which Craigen and Connolly combined to waste. 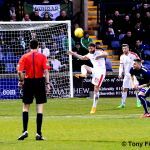 Cuthbert claimed a high free kick then a low cross was cleared resulting in a Hibs corner. 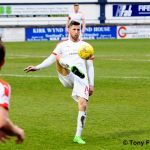 A free kick followed and Cuthbert diverted a stinging drive away from goal for another corner. 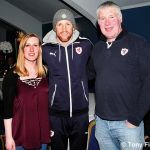 The next attempt of note was by the visitors who were having a purple patch when a free kick was awarded to the surprise of many present but pleasingly the resulting shot from twenty five yards was high and not too handsome. 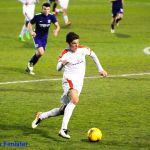 The Rovers sent in a free kick which was cleared wide to McKeown who had a go and Logan had to move quickly to pluck the shot from the air as it headed for the top corner. 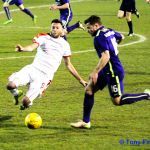 There was a mini stramash when Bartley on the ground made sure Callachan couldn’t play the ball – both players were booked. The resulting whipped ball into the box didn’t find a man and went past, all knew getting a touch on the dangerous ball was all a striker needed to do. 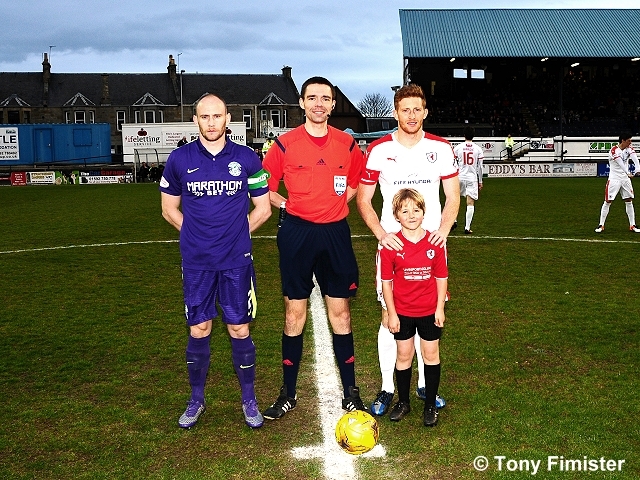 In the 63rd minute Craigen and Connolly were withdrawn being replaced by Longridge and Panayiotou with McKinnon letting them show the 5,330 present what they could do. Next Stevenson had a go before Harry P used his guile and speed of thought to get on the end of a quick throw winning a corner. 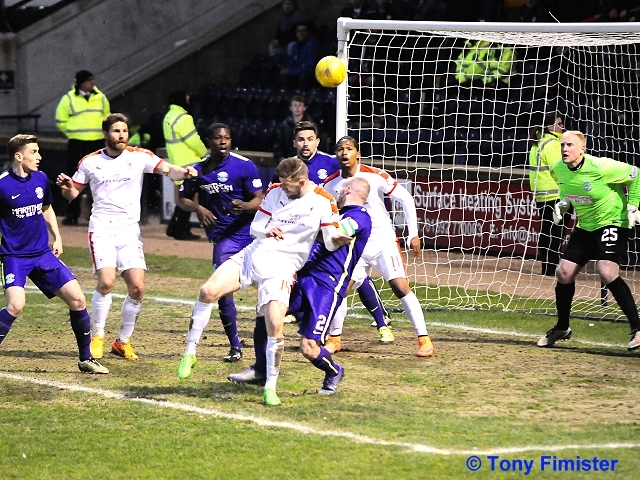 The ball in got past a flurry of bodies and a Rovers shot was blocked up and over. 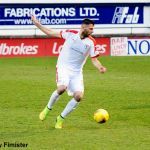 Longridge lined up the set piece and his near post ball was perfect for Harry Panayiotou. 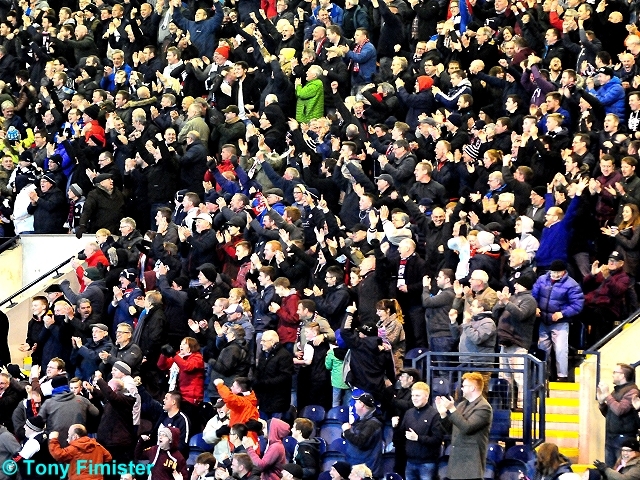 The Leicester City man’s header found the middle of the net and the Rovers fans rose to celebrate. 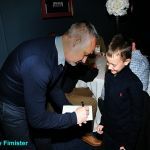 Harry – who let’s face it has had worse weeks – bowed his head with a flourish to the Rovers support. This raised the volume in the home support and seemed hit the mute button on the Hibs fans who had been by a margin the louder of the two supports up to that point. The Rovers having scored against the run of play tried to increase their advantage and the eager Longridge got into the box. 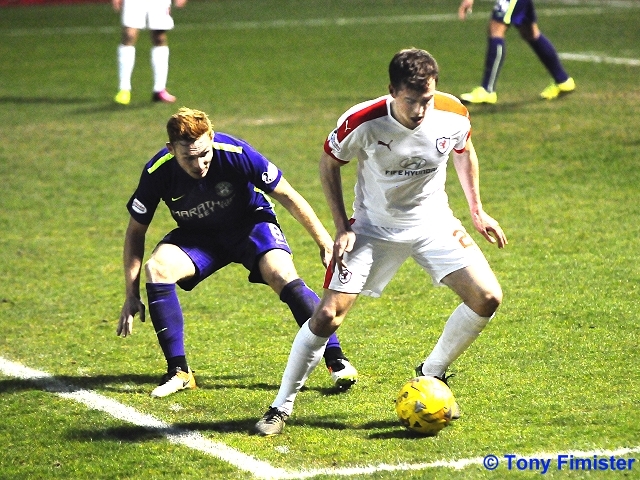 His shot was beaten away by Logan falling to Toshney twenty yards out – the big man however blazed his effort over. 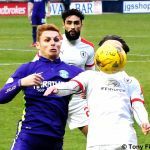 Alan Stubbs rolled the dice in the 79th minute taking off Cummings and Fyvie bringing on McGeouch and Keatings. A few minutes later he withdrew Fontaine replacing him with Henderson re-organising his defence into a flat back four from the three they had up to then. 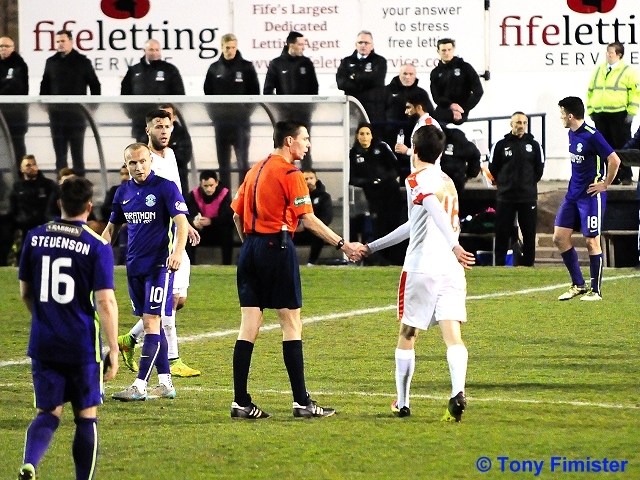 McGeouch was unlucky to be booked for dissent after a throw in was awarded incorrectly to the Rovers. 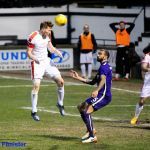 Henderson tried to make a difference in a more orthodox manner shooting high and wide as the Edinburgh side tried to get back into the game. 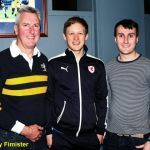 As time ran down a hopeful deep cross caused no concern for the Rovers back four, before Hardie was replaced by Stewart. 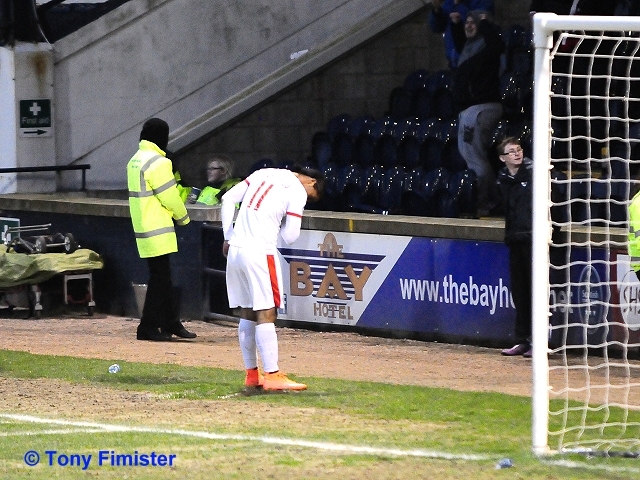 The announcement of four minutes of injury time was greeted with more glee by the Rovers fans than the Hibs ones. 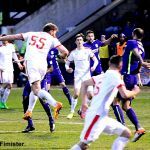 A low cross was sent across goal by the men in purple before some good control and persistence by Stokes twenty five yards out saw him dink a great ball to a teammate who tamely scuffed it five yards wide. 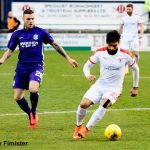 A warm welcome to everyone near and far for tonight's premiership play off QF 1st leg Vs Hibernian. 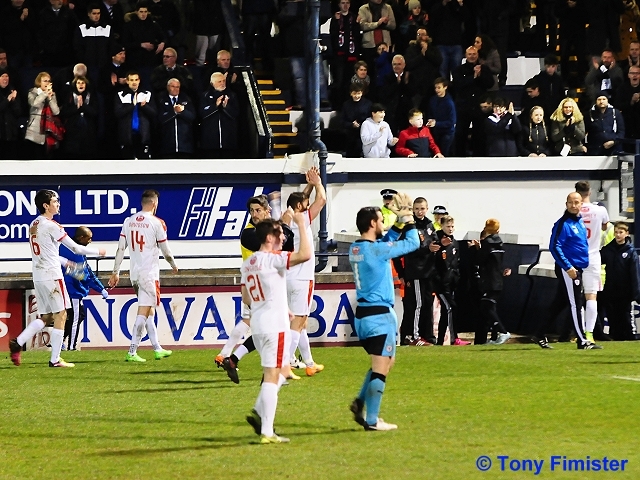 Raith will be hoping to replicate or better their last result against tonight's visitors, a 2-1 victory. 8 points separates the two sides after 36 league matches. 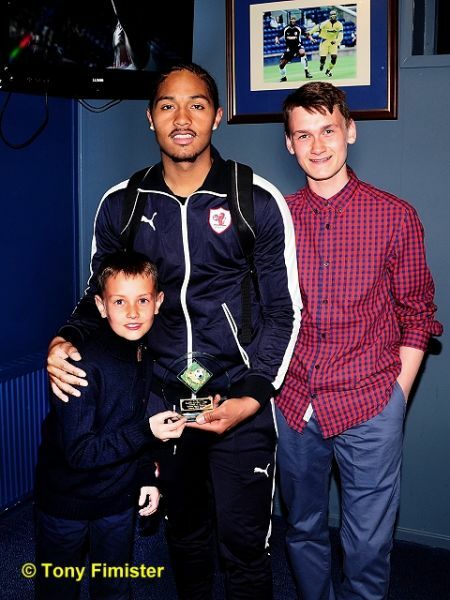 Some great efforts by supporters to get along to tonight's game. 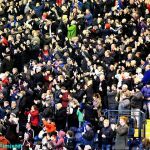 More than ever, let's get right behind the rovers! Starks Park is filling up nicely as we await the start of tonight's match. It's 11 degrees, overcast with a swirling wind evident looking at the corner flag to the left of the South Stand. 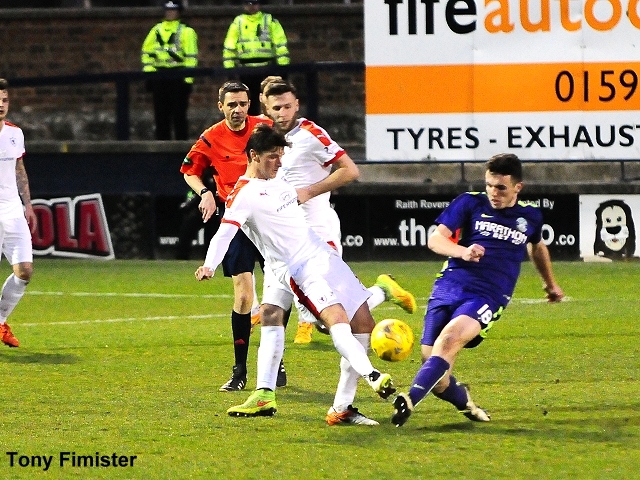 Raith kick off towards the McDermid stand. 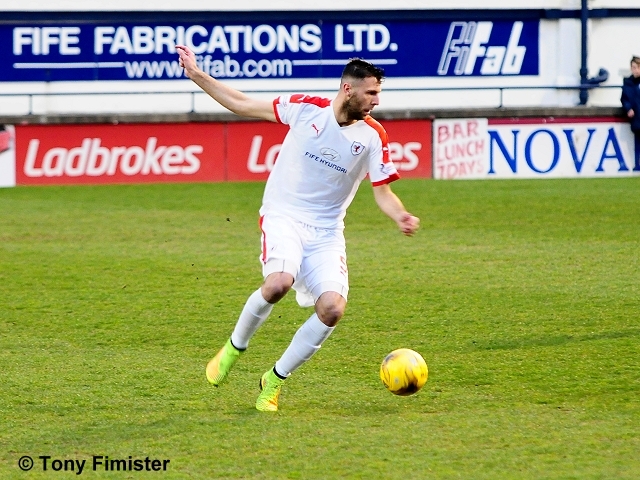 A cross from James Craigen is cleared. As expected, the game has started at a frantic pace. Connolly with a driven cross is cleared, Cummings then forces Cuthbert into a smart save at his near post. The two captains are down after a head clash, both return to their feet without treatment. 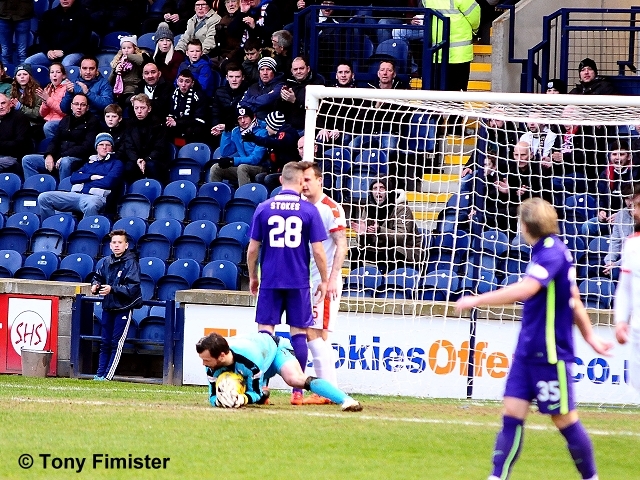 Cuthbert saves well from Bartley and gathers the loose ball before Stokes pounces. A good run by Thomson down the right flank, his cross is cleared onto Pratt Street. Stevenson flashes a drive just wide of Cuthbert's left hand post. 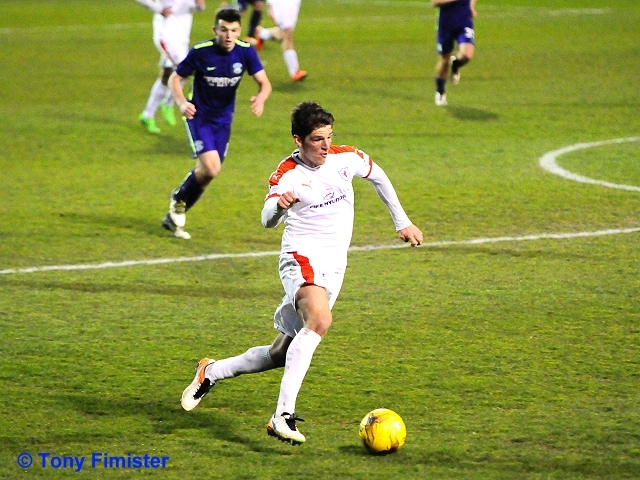 Craigen with a great effort, his half-volley goes just over. Conrad clears with his head. Stokes goes down just outside the box but nothing is given. It's fairly end to end at the moment! 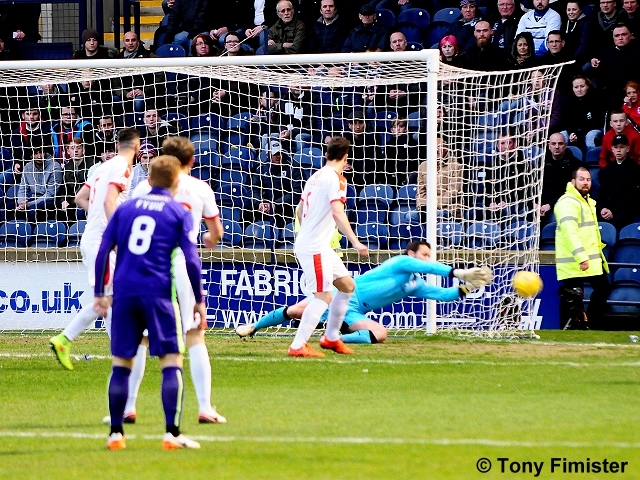 Stokes with a free header in the box, well saved by Cuthbert. Hardie is a bit isolated up front on his own at the moment. 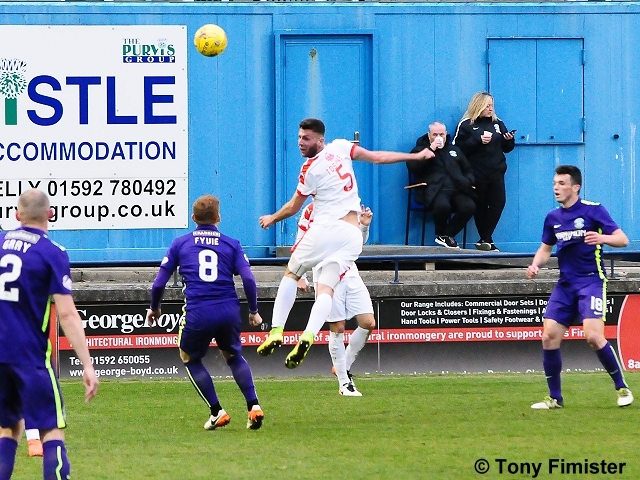 Cummings with a driven ball across the box is gathered low by Cuthbert. 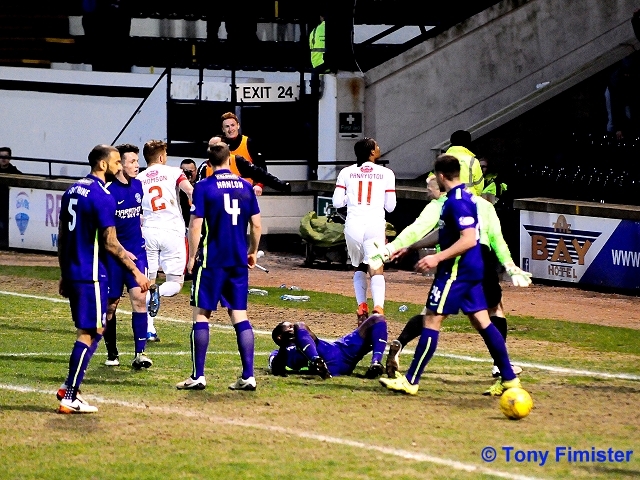 A bit of a scramble in the raith box, Fontaine eventually firing over. 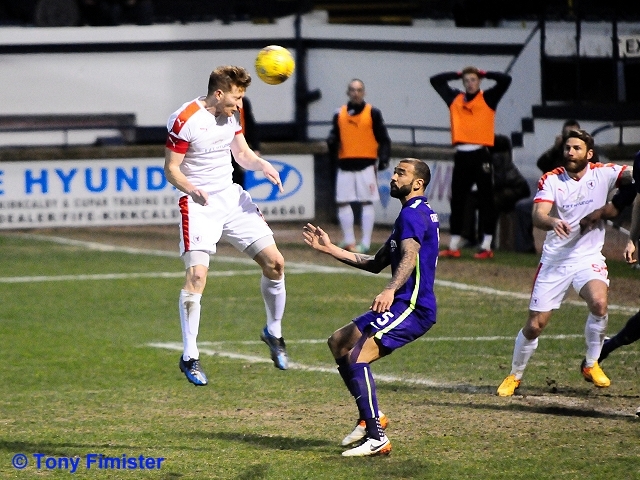 Benedictus does well to head clear with Fyvie looking to get on to a through ball. Hibs enjoying the majority of the possession and chances at the moment. Cummings, with a clear cut chance lifts his effort over the bar to the delight of the South stand. 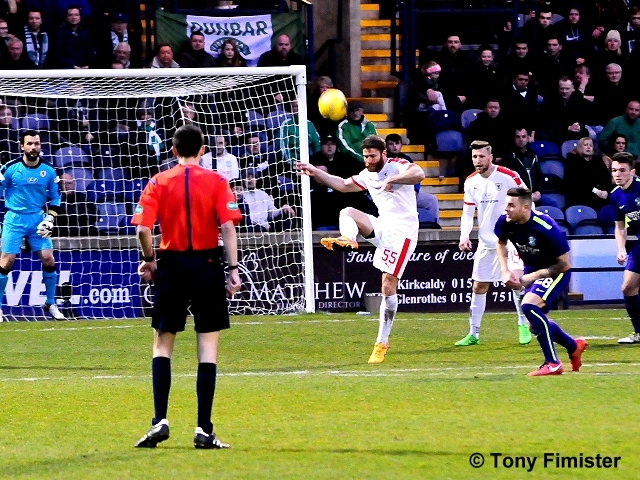 Fontaine with a speculative overhead kick well saved by Cuthbert. Stokes with a run and shot, again well saved by Cuthbert. 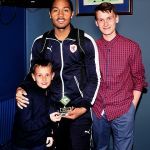 Raith would really benefit from getting more bodies up to support Hardie. "Scenes"! 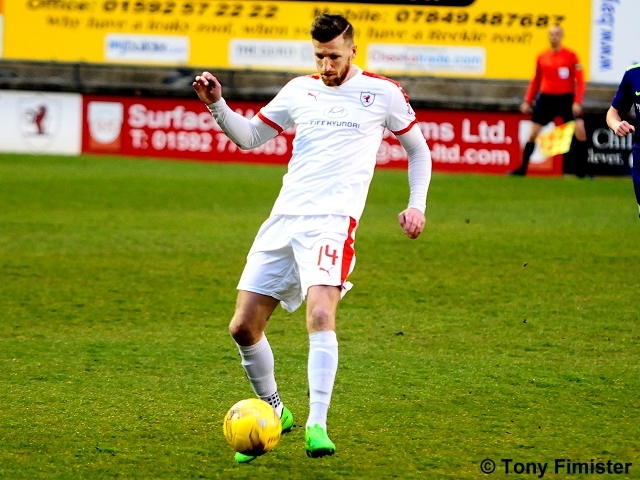 Raith win two corners in quick succession, and Harry nets from close range! What a difference a goal makes! All Rovers now. Logan saves from Longridge, Toshney blasts well over from the rebound. Hardie tries to wriggle through 4 defenders, but Logan is quickly out to gather. +4 A backs-to-the-wall performance for long periods, but a win's a win!!! 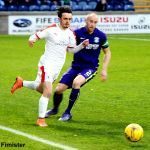 The Premiership play-offs begin this Wednesday evening, with Raith Rovers welcoming Hibernian to Stark’s Park for the first-leg of the quarter-final tie. 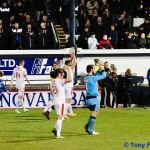 The winner of the two-legs will move on to play Falkirk in the semi-final, and if this season’s encounters are anything to go by, then the affair could be a close run thing. 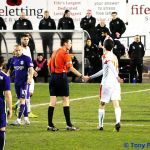 Hibs won the first match in August by two goals to nil, thanks to goals from James Keatings and Jason Cummings, two men who have something of a knack of scoring against the Kirkcaldy club. 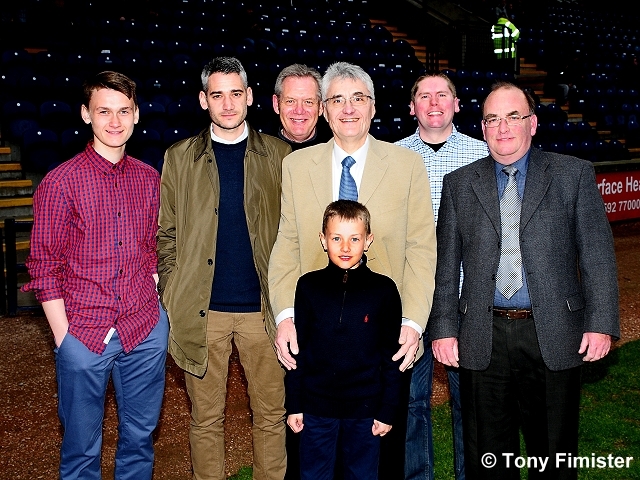 Alan Stubbs team won the return match at Stark’s Park in October too, although the match was a far tighter one. 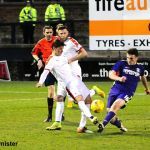 John McGinn and Cummings gave Hibs a commanding lead, only for Jon Daly to arrest the arrears in the second-period. 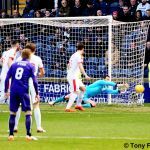 The goal breathed new life into Raith, but despite a sustained and prolonged period of pressure, Hibs held out for the win. 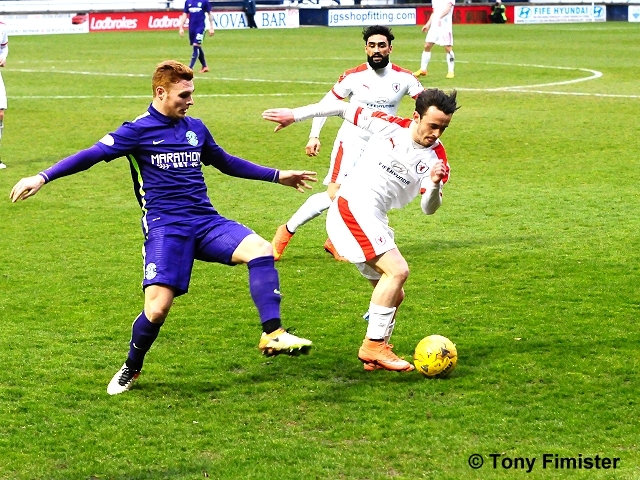 Hibs also won the New Year fixture at Easter Road, 1-0 thanks to yet another Cummings goal, but Rovers did manage a win at the fourth attempt in March. 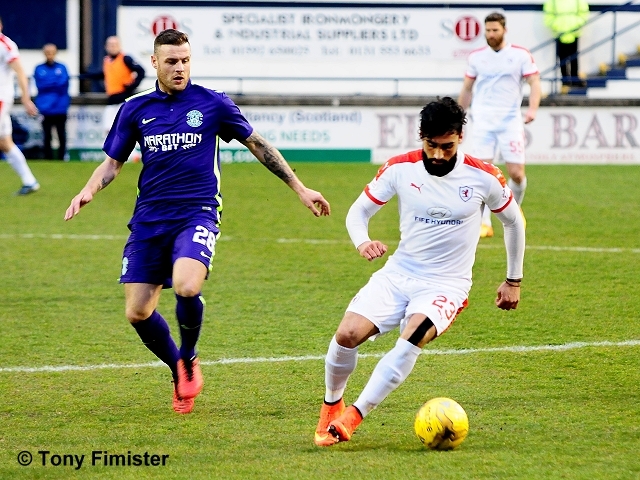 Anthony Stokes gave Hibernian a first-half lead, but a Lewis Toshney equaliser and a goal early in the second-period from Mark Stewart handed Raith the victory. 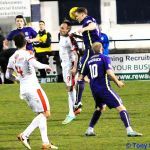 If Raith are to play a greater part in the play-offs than just a quarter-final appearance, then they’ll have to improve on their play-off record, which currently stands at two appearances, but no victories. 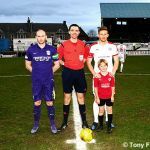 Nine years ago, John McGlynn’s side were eliminated from the First Division promotion play-offs by Stirling Albion, after a 0-0 draw at Stark’s Park was followed up by a 3-1 defeat in Stirling, and twelve months later, they were eliminated at the same stage by Airdrie 4-2 on aggregate, after a 2-0 defeat at Stark’s Park in the first-leg. 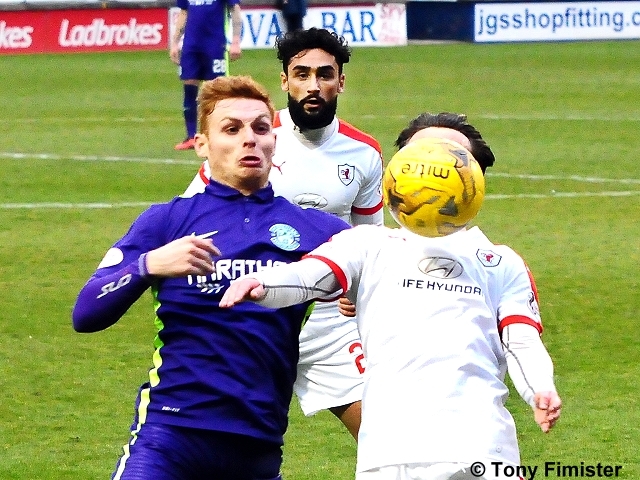 With Hibernian’s third place finish in the table giving them home advantage in the second-leg, and with a formidable record at Easter Road this season, Raith will be eager to take a lead to Edinburgh for the early Saturday afternoon kick-off. 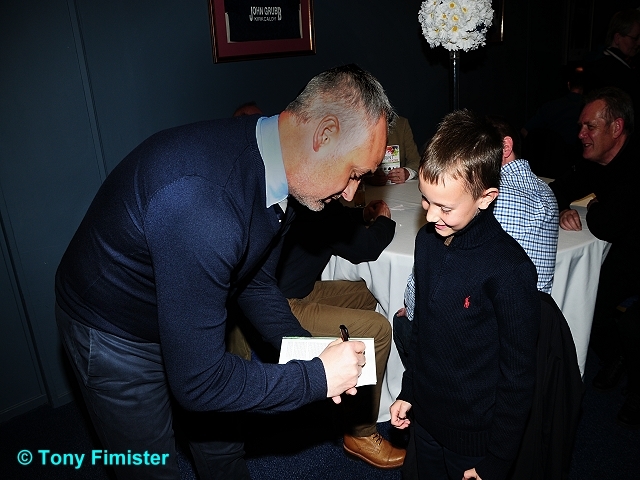 With that in mind, Ray McKinnon’s men will be looking to take advanatge of Hibernian’s away form, which has seen them win just once away from Easter Road in the Championship in 2016, a 1-0 win at Cappielow in February.